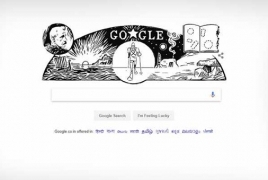 PanARMENIAN.Net - Google Doodle is celebrating what would have been the 156th birthday of Fridtjof Nansen, the Norwegian explorer, scientist, diplomat, political activist and humanitarian, who went to great lengths to raise awareness about the Armenian Genocide when the killings were being perpetrated by the Ottoman government. 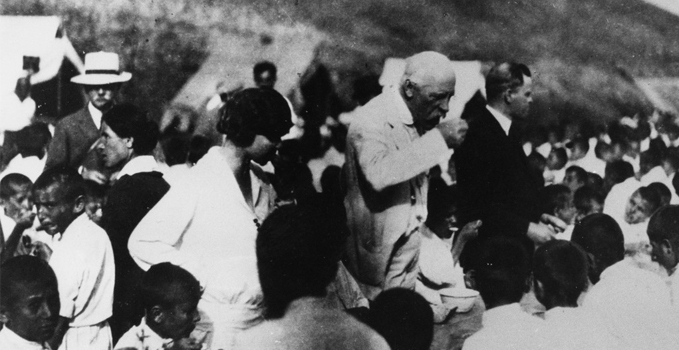 In 1924, Nansen was commissioned by the League of Nations to tackles the issue of the Armenian refugees following the Genocide between 1915 and 1923. But long before that Nansen made a proposal at the first session of the League to accept Armenia as a member, stressing that Armenians needed help more than ever. Starting from 1925, Nansen devoted much effort to helping Armenian refugees - those displaced by the Genocide who had miraculously managed to survive the slaughter. His goal was to eventually return refugees to Soviet Armenia. Nansen kept visiting refugee camps, and after a trip to Soviet Armenia, he proposed that the League of Nations finance the irrigation of 36,000 hectares of land which would allow the deployment and employment of 15,000 people. Although the plan failed, Nansen did become one of the heroes of the Armenian people. In total, about 320,000 people survived the Genocide to obtain asylum in various countries using Nansen passports. The Nansen passport is an international document that certifies the identity of the holder, and was first issued by the League of Nations for refugees without citizenship. Upon his return to his homeland, the Norwegian wrote the book "Across Armenia", full of sympathy and respect for the Armenian people. "If nations could (...) settle their possible differences, they would easily be able to establish a lasting peace" - the words of the great humanitarian who inspired generations ofcompassionate people around the world in the decades that followed.